For every kind of traveller either business or leisure travelers, Limousine Service Vancouver provides quality transportation to and from Vancouver International Airport and all private airports. 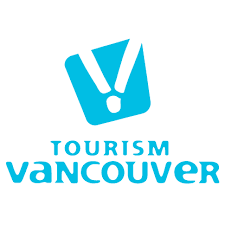 Limousine Service Vancouver can arrange city tours for individuals and groups. Whether you’re visiting Vancouver for business or for pleasure, you can schedule anything from a one-hour tour to a multi-day tour. Our wedding Limousine Service Vancouver reservation specialist will work with you to get the limousine transportation for your wedding day just right. We have provided limo vancouver wedding with very satisfied couples every time. Limousine Service Vancouver is based in Vancouver, BC with offices in Surrey, BC. Limousine Service Vancouver offers our brilliant Customer service all over Metro Vancouver, Fraser Valley and Whistler. We will take every step to make your journey comfortable and luxurious. Vancouver or Whistler, Surrey or Abbotsford, Vancouver Limousine Service has the vehicles and the coverage to get you where you need to go, all in the utmost comfort and style.